The Open Delivery Cloud presents the optimal solution to the Build vs Buy challenge by providing companies with the ability to seamlessly integrate their own proprietary solutions and processes with Bringg’s agile, modular delivery logistics platform. This provides enterprises with the flexibility, customization and security they need alongside a robust real-time, cost effective solution. Open Delivery Cloud presents the optimal solution to the Build vs Buy challenge by providing companies with the ability to seamlessly integrate their own proprietary solutions and processes with Bringg’s agile, modular delivery logistics platform. This provides enterprises with the flexibility, customization and security they need alongside a robust real-time, cost effective solution. 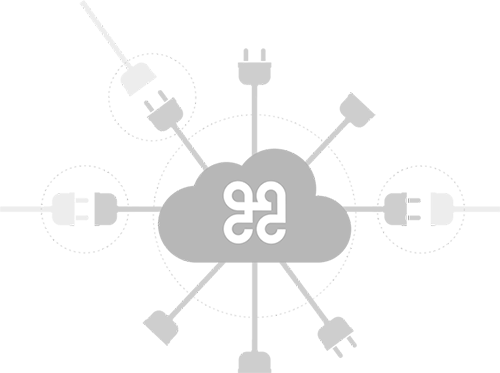 Bringg’s Open Delivery Cloud provides enterprises with the ability to fully integrate and customize the Bringg platform to work with their business standards, requirements and operational needs. Below are four examples of how leading businesses can leverage the Open Delivery Cloud to customize, optimize and sync their logistics operation. Following a number of data leaks at other organizations, a leading US retailer implemented an additional layer of data encryption across their internal data and communications. However, this presented a real challenge to the process of automating their last-mile delivery operations. After selecting Bringg as their delivery logistics platform, they used Open Delivery Cloud to add their customized encryption algorithm to the Bringg data sync. With this security challenge solved, they went on to a successful pilot, and are now scaling Bringg nationwide. Many enterprises have years of experience managing and optimizing every element of their on-site operations. Often, on-site logic and flows exist in closed proprietary systems, with limited flexibility, integration with and visibility across the rest of the delivery and logistics stack. With the Open Delivery Cloud, enterprises can maintain their proprietary on-site processes, logic and flows on top of the Bringg platform. By building on top of Bringg, enterprises deliver greater visibility and synchronization across their logistics and operations, enhance their data reporting and open new opportunities with third party providers–all without interrupting business processes. With the Open Delivery Cloud, you can easily build your own delivery route planner right on top of the Bringg platform. A European big box chain had twenty years of home delivery experience in one city, and very limited home delivery offerings across the rest of their operations. Their experienced dispatcher had developed a highly efficient and customized system for task and delivery assignments. The executive team wanted to scale this solution across their hundreds of locations, automating their dispatch system while adding new considerations such as driver ratings. Using the Open Delivery Cloud, the team was able to easily deploy their proprietary assignment dispatch software across the Bringg platform. Within just a few months, they not only scaled their delivery operations while maintaining driver efficiency, but also established a competitive advantage in their regional markets based on their new last mile logistics capabilities. There are dozens of considerations that go into routing and prioritization logic. The Open Delivery Cloud provides enterprise teams the ability to specifically customize this logic based on their unique business requirements. For example, you can prioritize electronics deliveries with recycling return tasks in areas where recycling warehouses close early. You can nurture your high-value customers, or incentivize new ones, by prioritizing their deliveries. You can adapt the logic for when and why new waypoints are added. You even can change the way drivers with advanced capabilities (e.g. a tow truck driver or a certified cable repairman) are assigned to ensure optimal operational efficiency. For further reading, check out our Full Customization module.